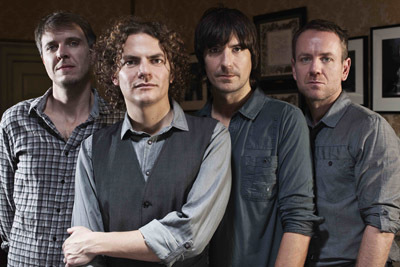 Multi-million selling, chart-topping alternative British rock band, Toploader, will be headlining at the Jam House Birmingham on the 20th July. With over two million album sales to their name and a string of top 20 hits, Toploader were the sound of 2000, having backed the likes of Paul Weller, Robbie Williams, Noel Gallagher, Tom Jones, Simple Minds and Bon Jovi. The band rose to global fame with their cover of King Harvest’s ‘Dancing in the Moonlight’ which maintained a top 40 position in the official UK charts for 50 weeks and is known as one of the biggest songs of all time. Having formed in 1997, Toploader’s debut album Onka’s Big Moka, was an instant success, securing a top five spot in the British album charts for six months. Now, twenty years on the original Toploader band are touring the UK, performing their famous classic hits along with songs from their highly anticipated new album Seeing Stars, which was released in May this year. With their reputation as being a genuine crowd-pleasing band, Toploader’s performance at the Jam House is set to bring the house down.